After scrolling around Koreandrama.org pages I realize that the upcoming, ongoing and almost end dramas in this January are having something in common. If dramas about super power (e.g. My Love from Another Star & I Hear Your Voice) filled kdramaland in 2014, this year dramas about multiple personalities disorder and journalism appear to take bigger spot. I probably won’t say too much about this drama since I’ve already explained my early thoughts and give the synopsis about this drama on my previous post. I will only shares few things based on the drama concept, which is multiple personalities disorder. 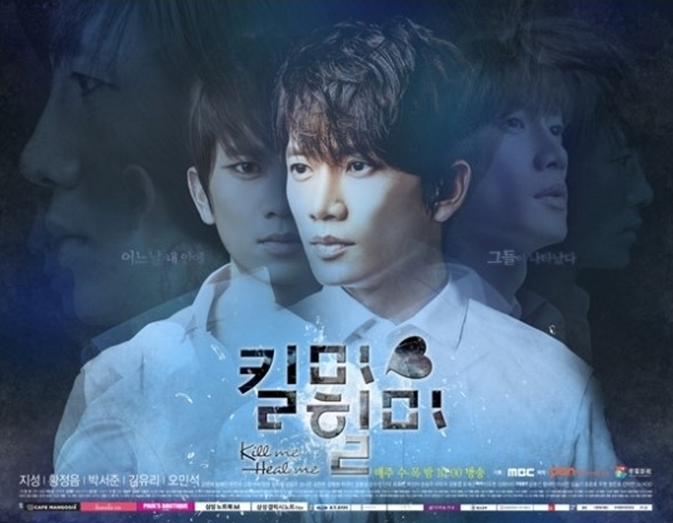 The upcoming drama broadcasted by SBS is one of the first quarter of 2015’s dramas with multiple personalities disorder concept. The lead actor, Hyun Bin, will play the role of Goo Seo Jin, a third-generation chabeol and the CEO of large amusement park, Wonderland. Due to a childhood trauma, Seo Jin suffers from multiple-personalities disorder. One of his personalities is that of “Hyde” who has a cold personality. The other personality is that of “Jekyll” who has a sweet and innocent personality. The already-aired or ongoing drama broadcasted by MBC is the one that will compete head to head with the upcoming drama Hyde, Jekyll and I. What interesting is that viewer will have to compare this particular drama with the SBS’ production based on the same concept: Multiple Personalities Disorder. 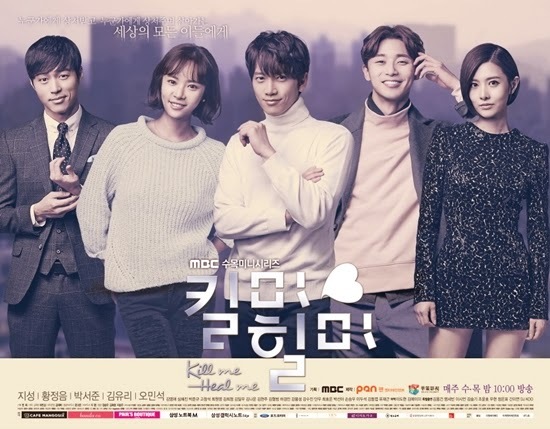 Similar to Hyun Bin’s latest drama, Kill Me, Heal Me also offers the story of a third-generation billionaire Cha Do Hyun (Ji Sung) who suffers from multiple personality disorder after going through numerous life-threatening traumas. However, unlike Hyun Bin’s dual personalities in Hyde, Jekyll and I, Ji Sung will have seven different personalities. What’s more interesting is that this drama will reunite Ji Sung with his co-star in Secret, Hwang Jung Eum who will become a resident doctor Oh Ri Jin. Oh Ri Jin will help Cha Do Hyun get back on his life. Why did I say that the reunion of Ji Sung and Hwang Jung Eum is interesting? It’s because it is also similar with the case happening in Hyde, Jekyll and I. As you all know, the two lead actors: Hyun Bin and Han Ji Min (Hyun Bin’s love interest in Hyde, Jekyll and I) also reunited in the series after successfully starring in The Fatal Encounter movie. 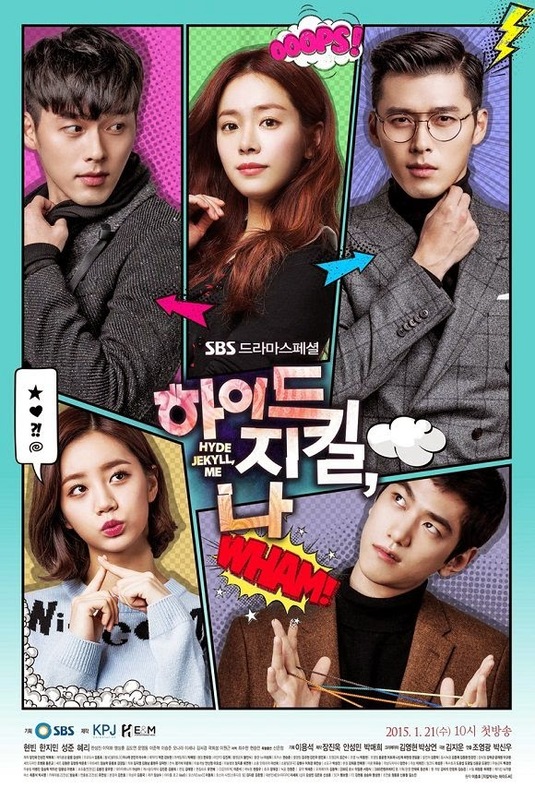 So, there are a lot of similarity in Kill Me, Heal Me and Hyde, Jekyll and Me. And it’s not bad, because the viewers will finally have the equal benchmark to judge which one is better as the comparison will be the actual apple to apple-comparison. The case of Heart to Heart’s multiple personality disorder is not as severe as it is in Hyde, Jekyll and I & Kill Me, Heal Me. I think I can categorize this drama in Multiple Personalities Disorder Trends since the lead actress have a split personalities between a young woman and an elderly woman. The already-aired tvN’s drama tells a story of young woman name Cha Hong Do (Choi KangHee) who suffers from social phobia and has a problem with severe blushing. When her grandmother dies, Hong Do has to begin doing housework as a maid for a living. However, her social phobia makes her disguises herself as an elderly woman. 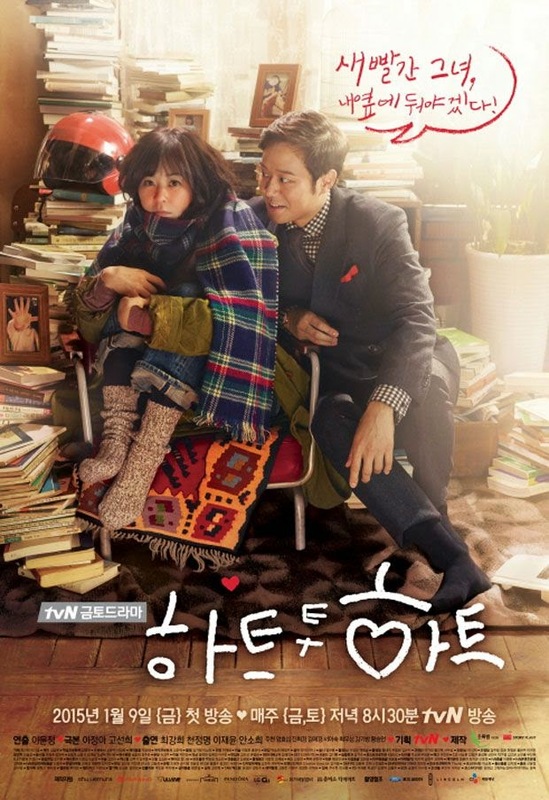 Through an incident, she meets a psychiatrist Go Yi Suk (Chun Jung Myung). Do you see the resemblance of this drama with the other two (Hyde, Jekyll and I & Kill Me, Heal Me)? 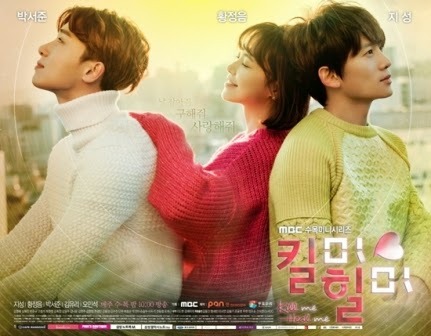 Heart to Heart also took psychological disease as their main concept and put a psychiatrist as the love interest of the lead actress (this love interest case is similar with Kill Me, Heal Me). The ongoing and almost coming to an end as well as one of my favorite dramas (yes, it is) took Journalism as its concept. 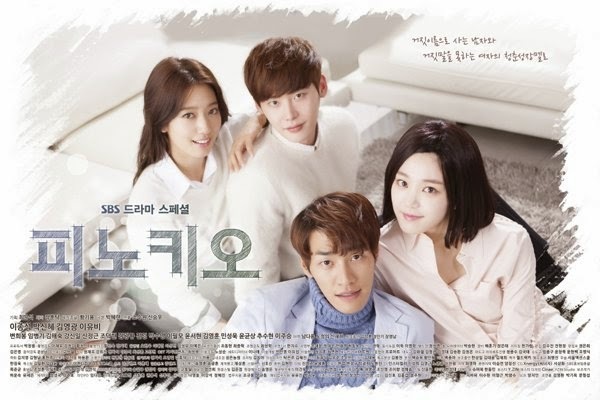 Pinocchio tells a story of young man Gi Ha Myung (Lee Jong Suk) and young woman Choi In Ha (Park Shin Hye) who becomes a journalist in order to reveal the truth about Gi Ha Myung’s past and fix the already dilapidated journalism world. 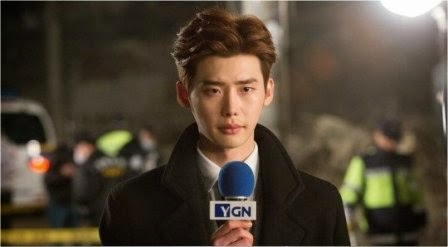 Despite the fact that the drama also filled with the love story between Gi Ha Myung and Choi In Ha as well as Gi Ha Myung’s revenge, Pinocchio gives quite adequate information about journalism and the struggles that news department’s employees have to face every day. For example is when they’re showing the situation in editorial meeting to decide which news will be aired plus how the rookie reporters are placed into their station (Gangnam police station) to dig information and report the information to their coverage coordinator (Captain). 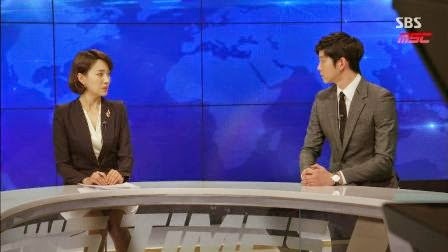 The KBS2’s production also took journalism world as its concept. The ongoing drama tells a story of a popular reporter at major broadcasting company Kim Moon Ho (Yoo Ji Tae) who learns the truth of a case that took place in the past. While intentionally approaches people who are related to the case and helps them, Moon Ho agonizes over the truth and beliefs. 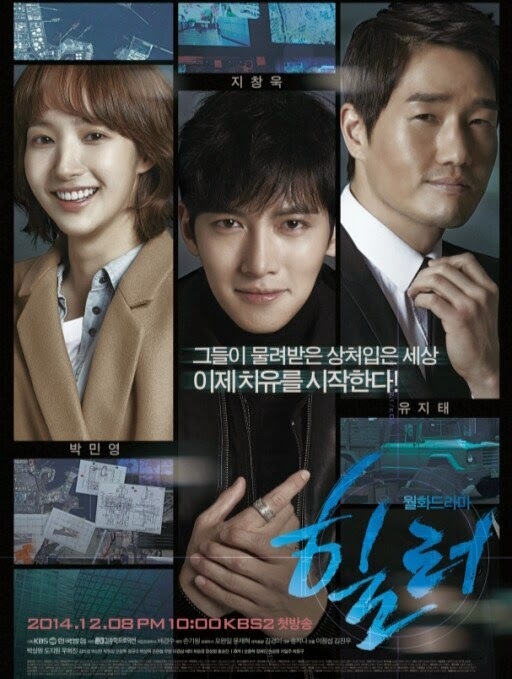 With the help of Kim Moon Ho, internet reporter Chae Yong Shin (Park Min Young) and Seo Jung Hoo (Ji Chang Wook), known as “Healer,” grow into real reporters.